Born into a family of engineers in Romania, actress Ann Pirvu developed an interest in poetry, history and the vibrancy of European art and culture. Her family moved to Canada when she was 12 years old, where she was instantly drawn to drama class, theater, and filmmaking. She got her first break in 2004 when she landed a lead role in the sci-fi feature Little Pictures, an experience that lead to her passion project the following year – directing and acting in the award-winning feature Pure Malice. 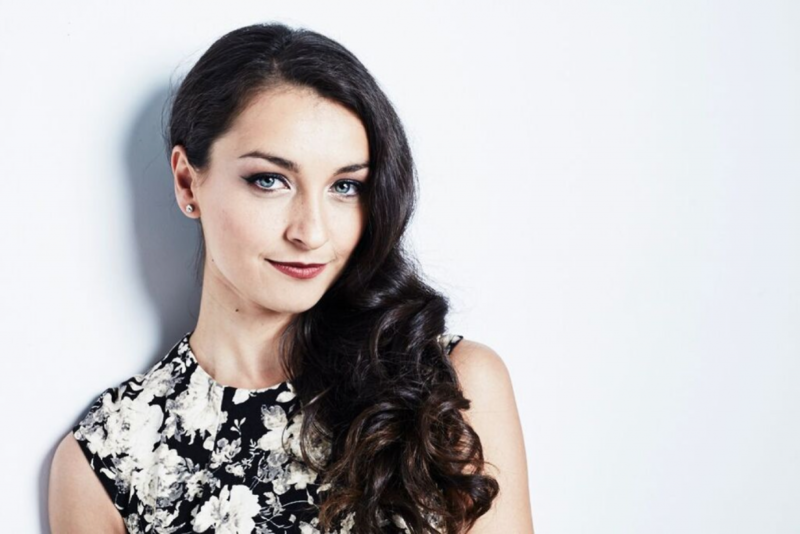 The momentum brought her to Toronto to pursue acting as a career, working on numerous film projects and taking classes. Ann has a Bachelor’s degree in Broadcast Journalism from Ryerson University and an International Baccalaureate Diploma. She is currently in the film The Masked Saint, which is out in theaters in both the U.S. and Canada, and will also be featured in a couple of episodes of the TV series The Girlfriend Experience, which debuted at the 2016 Sundance Film Festival. You can also catch her in the upcoming film Total Frat Movie, which is set to hit theaters this year. Here is her Expat Story. When/why did you move abroad? My family and I moved to Canada when I was 12 years old, from the beautiful European country of Romania. My parents have always had a healthy sense of adventure and positivity about what could be, what’s possible, what’s worthwhile in life, so they never shied away from exploring new opportunities. At that time, in the years post revolution, there was a general atmosphere of craving “new” and “different,” so they decided to ride the wave to North America, hopeful that my brother and I will be able to appreciate a broader perspective of the world. Canada seemed like the perfect fit for that. And I’m very grateful for it. This duality in perspective (and life experience) I grew up with is an integral part of who I am today. At the same time, coming to Canada taught me to appreciate diversity and crafted my positive, can-do attitude in life. It’s not easy to be the new kid, to look different, to have to learn a new language… but the things you’re not can’t be the things you focus and dwell on. What you don’t know, you learn. And as a newcomer, you have to do that fast to establish a sense of normalcy. And you have no choice but to try your best and work hard at it. And, eventually, you catch up and can even excel when you apply yourself. That became very clear to me, very early on. You learn to be adaptive. I watched my parents completely change their professions, often working multiple jobs to make ends meet… they just did it. And that taught me that anything is possible. Literally. You just have to want it, work for it, and do it. It’s also had a profound effect on why I have the courage to pursue acting as a profession, my openness to opportunities, and general positive outlook on life – no matter how difficult things get, there’s always a way. It won’t be easy, but nothing worthwhile in life comes easy. My expat life has taught me to accept that at face-value, and push to excel anyway. I think the hardest part was watching my parents struggle during our adjustment period in those first 5 or 6 years. At 12, I was acutely aware of what was going on, even though they never complained and tried to shelter us from it. I come from a family of engineers (yup, all three other members of my family have an engineering background, so naturally I had to be an actor. You know?) But their degrees didn’t mean much more than the piece of paper they had been printed on in this new place. That’s fairly accurate for the immigrant experience, in general. So my mother switched to human resource management (working various retail jobs in between) and my father switched to computers (IT), becoming a Microsoft Certified Systems Engineer while sometimes repairing TV sets on the side. They would both simultaneously work and take classes in the evenings, essentially re-earning their degrees. They just did what they had to do, and even though this is part of adjusting to life in a new country… it made me want to work that much harder in anything that I did. Because I was given the chance to do this once, to have a head start, and I’ve always wanted to make them proud and show them that all their efforts were worth it. I spent two months living in California a few years back, which gave me a good idea of what eventually splitting my time between LA, Toronto and Vancouver will be like. I’m a wimp when it comes to the cold (sorry Canada, love you loads!) Some of my favorite places involve warm, tropical climates!! Barbados, the Bahamas, Cuba most recently…. if there’s a beach, I’m there! At the same time, I very much look forward to exploring Europe more. That’s next on my list! One of the best things about being an actor is the potential for variety. Ideally, I want to do what I love and get to travel the world doing it. I don’t see myself settling in one place…. just yet. My sense of home is being surrounded by the people that I love. I’m a free spirit by nature. I love to travel. I tend to go with the flow and be open to new experiences, as long as the people that I care most about are also involved in them. I don’t tend to have fun by myself lol although I do appreciate me-time once in a while. At this point in my life, I feel like I can be anywhere, and do anything, as long as my loved ones are happy and we’re making amazing memories along the way. What advice would you give to first-time expats? While it can be exciting to start a new life, nothing will be easy overnight. Don’t put too much pressure on yourself right off the bat. Expect the unexpected (stay open and flexible) and be prepared to work hard, but don’t be afraid to ask for help!! It can feel a bit isolating at first, being in a foreign place away from family and friends, but there are a lot of amazing people out there that want to help if you let them. For the most part, the worst thing that can happen is you go back or try something new. Maintaining an openness to new ways of doing things, while still being connected to my roots and my culture has been the most helpful approach in adapting. When we first moved to Edmonton we reached out to the Romanian community there, which made a big difference morale-wise and eased in the adjustment process. There are all sorts of cultural resources available nowadays, and not just in Canada, and making a point to research options and try to connect common threads is very helpful when you’re first adjusting. At the same time, I’m immensely grateful for the Canadian mentality towards immigration, where diversity is celebrated and even encouraged. I never felt pressured to choose between two identities, but rather see my dual perspective on life as an asset. Always. And that’s how any expat – any person, really – can ever reach their true potential: by embracing and utilizing the entire fabric of who they are for the greater good. Canada does this well so thank you, Canada! Share anything else about your expat life that you’d like us to hear about your experience living abroad. I think I’d just love to add this one thing: if you’re contemplating a move… try it! Do something about it and see if you like it, because otherwise you’ll never know what you’re missing out on. You can’t go wrong with seeing the world and learning new things. And if it’s not for you, go back or change it up, the choice is yours. Always! Find out more about Ann Pirvu at www.annpirvu.wix.com. 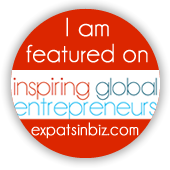 *If you’d like to be featured on our ‘My Expat Story’ section, send an email to Alison at info@globallivingmagazine.com and tell us about your experience as an expatriate by answering the above questions. Don’t forget to include a picture of yourself, your website/blog information, and/or Twitter handle so we can help you connect with other expats from around the world!